Older adults tend not to accept change very easily, and that’s because of the model of the world they have created in their brain, explains Mario Garrett. Our brain is the most complex entity in the known universe. There is nothing more complex, anywhere. Not even the planets and stars in the universe are as complex as our brain. In 2009, the Brazilian re­searcher Suzana Herculano-Houzel measured the number of neurons in an adult human male brain. She identified 86 billion neurons – more than any other primate. Each neuron has bet­ween 1,000 and 10,000 connections (synapses) that result in 125 trillion connections in the cerebral cortex alone, the thin layer covering our brain. That number is at least 1,000 times the number of stars in our galaxy. Stephen Smith from Stanford University has indicated that some synapses can have as many as 1,000 molecular-scale switches. The total number of synaptic switches per brain thus ap­proaches 10^20 (10 times itself 20 times, Sextillion). This number is equal to the total number of transistor ‘switches’ in all of the computer chips on earth today. A good visual is that overall one human brain compares to the entire global internet, rather than to any single computer. Now if that is not enough, the brain changes on a daily basis. It grows new neurons, forms new pathways, deletes old pathways, changes functions across regions and deals with daily death of cells. It is constantly changing. Such brain development is rela­tively recent – between 1.8 million to 500,000 years ago – and seems to be related to the development of cooking. Since the brain is the body’s hungriest organ, consuming one in five of all nutritional requirements, it’s obvious that without access to readily available nutrients the brain could not have evolved to what it is today. It is no coincidence that hu­mans have the most complex brain and that we are the only animals that cook. Cooking allows nutrients in food to be broken down and become easier to absorb. We get more nutrients from food. We can understand how the brain developed, but a more complex and difficult question to answer is why? Psychologists have inadvertently come up with an answer. While searching to understand intelligence, the late Swiss researcher Jean Piaget came up with a stages theory of intelligence. He argued that we de­velop how the world works in very exact four stages. We start by differentiating ourselves from our surroundings, then after the age of two we start to develop language and identify roles. After the age of four we develop logical thought and a sense of fairness. The final stage (for Piaget anyway) starting at age 12 is the development of theoretical thinking. Although Piaget stopped at this stage, we now know that there are other stages that only develop at later ages. But Piaget gave us a much more simple answer to our question of why we have such a complex brain. 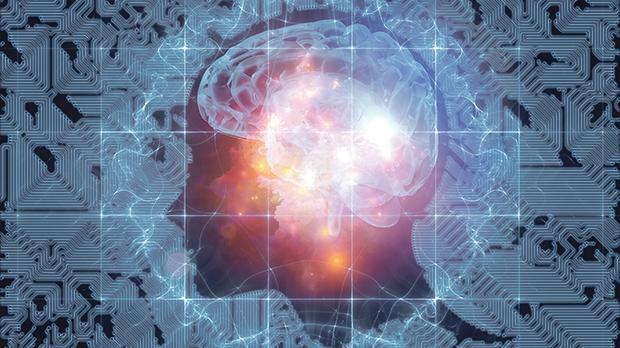 Our brain developed its complexity in order to better understand the world we live in. We develop a model of the world we live in. We form an interactive model of the (our) complete world. And such a simple answer also applies to other animals. The representation of the world for a bee, or a dog, or a fish is very different from ours. It is not less, but different. Someone with a low intelligence knows how to live within their world but they are limited; but their model of the world is complete, for them. As we get older this model of the world becomes fairly accurate. We get fairly good at predicting events. As a result, the older we get the less accepting we become of new things. We also like the comfort of older things that remind us of the past that provide consistency. Gestalt psychologists call this constancy and we find expressions of this everywhere with older adults. Sometimes older people collect stuff. Sometimes this can be an indication of a disorder called hoarding, an obsessive-compulsive disorder. But in other cases it is for different reasons. In Malta we have a siege mentality, of storing everything for a ‘rainy day’. But there are also psychological reasons. Each item represents a memory. When there is a constant fear of losing one’s mind, the presence of items that remind you of the past are medicine for this constant worry of losing your me­mory. This interpretation provides another clue. We are afraid of change, and for good reason. It took us this long to learn the rules and now because the world changes we feel that the rules we learned are no longer useful. We start to hate change. We wear the same clothes, drive the same car, go to the same shops, eat the same food cooked only one way. We listen to the same music from our youth. We talk about historical events as though they just happened. We believe that the world was simpler then. Such an interpretation leads us to conclude that older people get more rigid. In geronto­logy this is important for us to understand. Older adults do not accept change easily. Even though geriatricians and gerontologists can predict older adults’ future problems with some accuracy, changing their behaviour is difficult because of this constancy. If they have never exercised and they have been fine for now, why should they change? If I could walk fine without a walker or a cane, why should I start now? And the simple answer is that the world and your body are not the same as what they were 10 years ago. Everything has changed apart from your model of the world that you have in your brain.